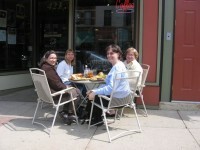 Last year there was much discussion about outside dining in Northfield, culminating in an NDDC Forum on the topic. 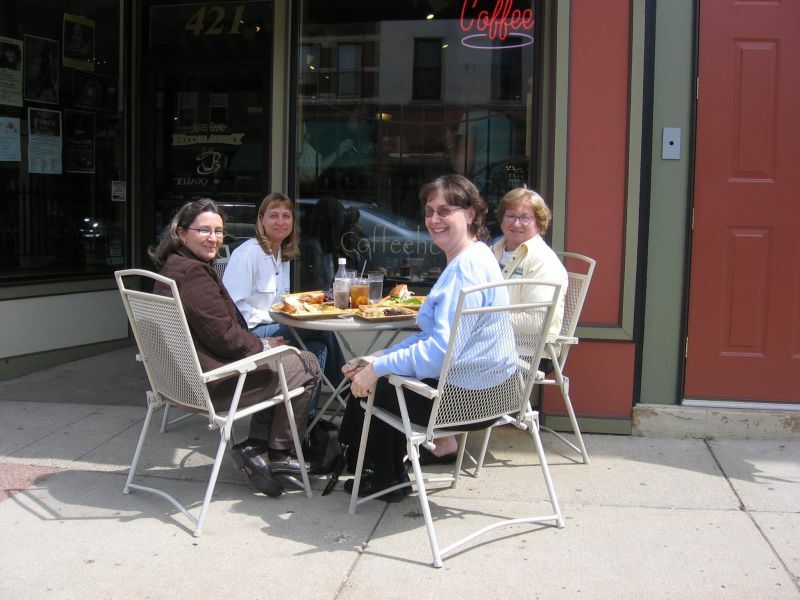 Most everyone agreed that if the sidewalks remained accessible, the potential economic vitality was worth pursuing. I wondered if history books were going unshelved, reference materials were going unshared, or noisy patrons were going unshushed. I worried that no one was keeping the doors to self-improvement open to the public. Then I looked at the expressions on the faces of this group. I guess I think that Happy Librarians Spread More Knowledge. I’m sure that the librarians have the shelving, sharing and shushing covered and that this quick respite in the sunshine helps them to better envision the library of the future. The foundations of my beliefs have settled.